Experience and attention to detail are essential when it comes to concrete pumping. 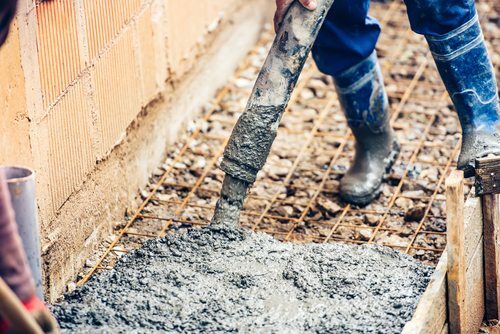 When it comes to commercial concreting in Sydney, there are a number of businesses to choose from. So, how do you know which concrete contractor to choose? The most important step you can take is to spend a little bit of time researching, rather than rushing in and booking the first concreting businesses you come across. To help guide you, we’ve put together this blog post so your next concreting job lands in experienced hands! Choosing a reliable concrete pumping company is vital to keep construction costs down. Delays and mistakes are very costly to a project and it can be difficult to get your budget back on track.Therefore, it’s essential your concrete contractor has both experience and a good reputation. Many Sydney concrete pumping companies will advertise their years of experience, as well as their previous projects on their website. This makes it easy for you to jump online and make a shortlist of concreting businesses. However, if this information isn’t available, or you want further clarification, don’t be afraid to ask questions and ask for references…. How many years of concreting experience do you have? Can I have a couple of references to call? Remember to also check social media sites and home improvement pages/trade directories for reviews or feedback. While online ratings can’t always be trusted, they will give you an idea of the company’s reputation. Once you have your shortlist, ask each of your Sydney concrete contractors for a quote. You can then compare costs and estimated time frames before making your final decision. Once a contract is issued, read it carefully and question any clauses you don’t understand or are concerned about. B & G Concreting is a Sydney Concrete Pumping Specialist with over 20 years of experience. Contact us to discuss your next concreting job today!